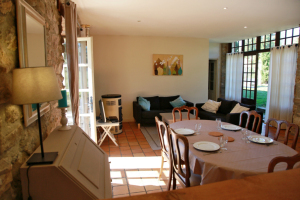 Our comfortable gîte (130 m²) is fully equipped and can host up to 6 to 8 people. 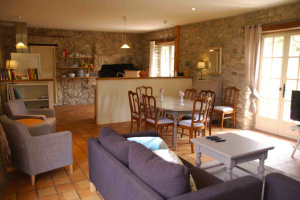 It has three bedrooms, 2 bathrooms with separate toilets, a living room and a fully equipped open kitchen. A private 120 m² terrace, viewing south, will insure intimacy and calm, for a relaxing and quiet stay. 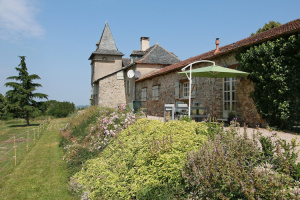 Feel free to make the most of the flowered courtyard and the swimming pool with its sun terrace. Please consult us for weekends and mid-weeks outside the season. 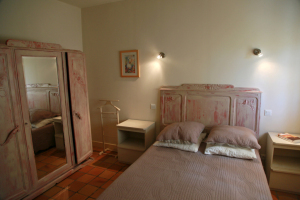 We offer the gîte at a special rate for 2 persons (except for July & August).